The 2014 La Harpe Summerfest festivities kick off on Wednesday night July 23rd and go through July 27th. which begins at 7:30 pm at the La Harpe City Park. Meet Common Bond: Founding member Brian Boyer- rhythm, lead guitar, lead and background vocals. Brian hails from the little town of Adrian, Illinois. Brian comes from a family of talented musicians. Brians uncle Mike Boyer also is from Illinois. Mike has been in several local bands, has written numerous songs and is a member of the Iowa Homegrown Music, BMI. Mike plays steel guitar, rhythm guitar and sings lead and background vocals. Bass guitarist Mike Kinman is from Nauvoo and also comes from a family of talented musicians. Mike also sings lead and background vocals. Drummer and vocalist Steve Thornton comes from Mt. Pleasant, Iowa. Steve got his first drum set at the age of 7. Steve is the newest member of Common Bond joining the band in 2010. Jeff Arntzen joined the band in January 2010 as the soundman. But when member Don Tracey decided to leave, Jeff jumped at the chance to be lead guitarist. 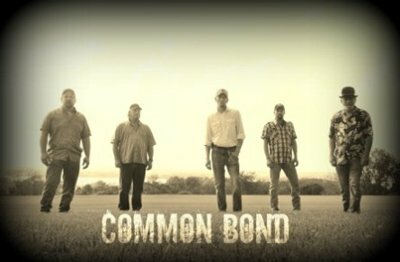 Come on out Wednesday night and listen to some country, old time rock  n roll and southern rock with Common Bond. Thursday night, July 24th, is the 37th Annual Lions Club Frog Jumping Contest beginning at 6:30 on the old basketball court in the city park. Thursday night's entertainment is Fate Revealed, an up and coming young group of lads from around the local area. Zach Bohnenkamp,19. Bohnenkamp graduated from Central Lee High School. Bailie Bryant, 21 was recently added to the group to help with vocals and graduated from Central Lee. She plans to attend veterinary school in the fall. 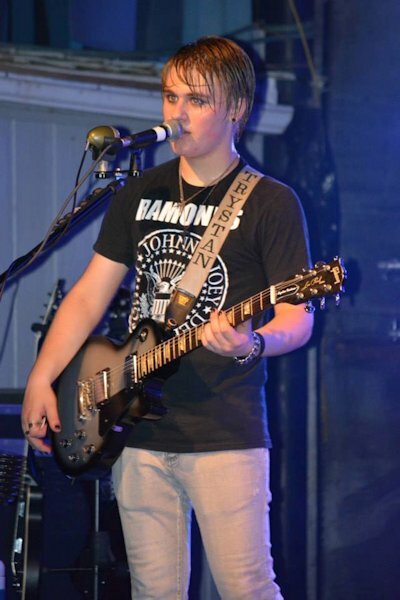 Trystan started the band Young Guns at 11 years old, and has also performed with Blackgrass, TNT and Jeff Page. The group recently opened at Burlington s Steamboat Days for the band Halestorm. Bring your lawn chairs out and enjoy Fate Revealed. Friday night July 25th is the 38th Annual Lions Club Turtle Races on the basketball court at 6:30 pm. The night s entertainment is Spoken 4. Spoken 4 is made up of John Charles, Cecil, Brandon and Steven. The group is making a name for themselves with their own unique sound that is different than anything ever heard. 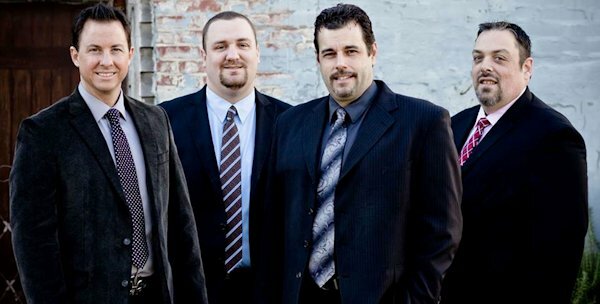 Learning from their many influences, they have managed to produce a sound completely new, but paying homage to the rich traditions of gospel music. On December 12, 2010, Spoken 4 was involved in a horrific accident in Casey, IL. The group was returning from a series of concerts in Indiana, and had been trying to avoid some bad winter weather. When they came into Illinois, the group ran into white-out conditions and before they could stop for the day they were collected in what would become a 45 car accident on I-70, an accident that claimed three lives. God spared Spoken 4 and they managed to escape with minor injuries, though their van and all of their equipment was totaled. In the midst of much soul searching the guys decided that God had spared them for a reason, and they needed to keep going. It is Spoken 4 s mission to boldly proclaim the truth, found only in the word of God, to everyone through the collective talents given to them by God alone. Whether it s their personal testimony, the songs they sing, or the prayer s they pray, they long to do everything with a heart of worship and all for the Glory of God. They long to show the world that true joy, the Joy of the Lord, is found in salvation through Christ. It is their prayer that everything they sing, say, or do brings glory and praise to the Almighty who sends them forth on their mission. Avery lives in Lexington, TN, travels full time with his prison ministry and speaking in high schools. He was managed by Gene Simmons in the 80s. Andy, originally from Burlington, IA, had a popular video on MTV in 1984. He toured with Bon Jovi, Kiss, Guns and Roses, Aerosmith and many others as their opening act in the band Smokehouse!!! He was also in Head East as he replaced John Schlit who is now a Christian artist. Andy was caught up in the dangerous world of drugs and alcohol and went to rock star rehab many times and then got the opportunity of a lifetime. I sang one concert and ended up overdosing and lost my voice. My life got worse, and I ended up in prison losing my wife, my son and everything I owned. The good news is- it was a chance to start over... and that is what I did, and the only way was with Christ!!! Andy now tours the country speaking, counseling for the NFL, and singing. God has given me my gift back and I offer it up to him! I am blessed beyond measure with my wife who has stuck by my side for 28 years, with our son who is 27 and we have 2 grandchildren! Remember, Bring Your Lawn Chair. Final activites are on Sunday, July 27th where the annual golf tournament will be held at LaMoine Valley golf course in La Harpe beginning at 1:00 p.m. This is a 2-Person Best Ball. Also in the afternoon, Hometown Harmonies will be performiong at the Union Church of La Harpe beginning at 3:00 pm. COMMON BOND  Wednesday, July 23rd - 7:30 p.m. FATE REVEALED  Thurday, July 24th - 7:30 p.m.
Trystan Grisham, age 14, Keokuk, IA will plays with Common Bond Wednesday. 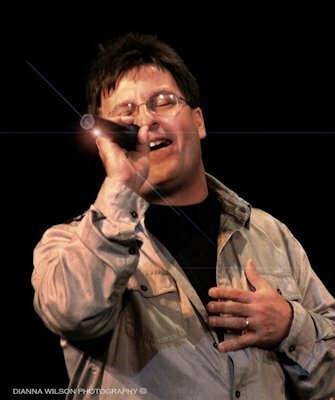 SPOKEN 4  Friday, July 25th - 730 p.m.
ANDY AVERY  Saturday, July 26th - 7:30 p.m.